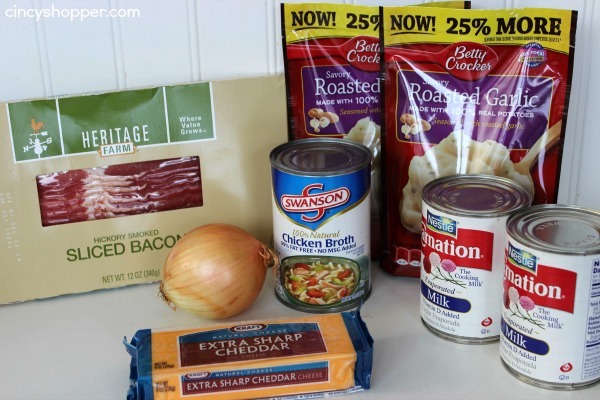 I decided to head into the pantry and get creative with some of my recent deals. 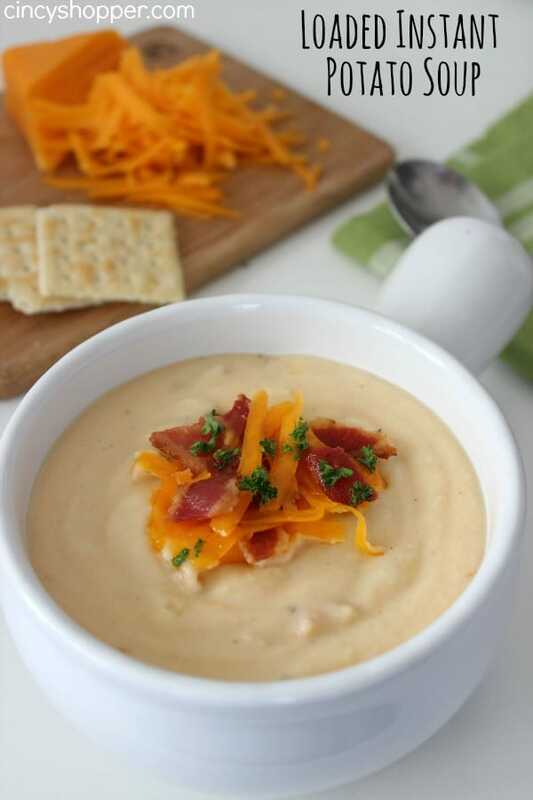 I grabbed a box of Betty Crocker Garlic potatoes and figured I would make loaded potato soup, kind of like they serve at O’Charley’s. I then browsed through my stockpile for additional ingredients to make it all work. This is my recipe and I think it works pretty well. I have also added the recipe card at the end of the post. Start by chopping the bacon into small (1/2 in. squares) and cook in a pot large enough to cook the soup ( i used a 6 quart one). Once this begins to render add the onion and cook until onion is tender. Add chicken broth and water and bring to a boil. 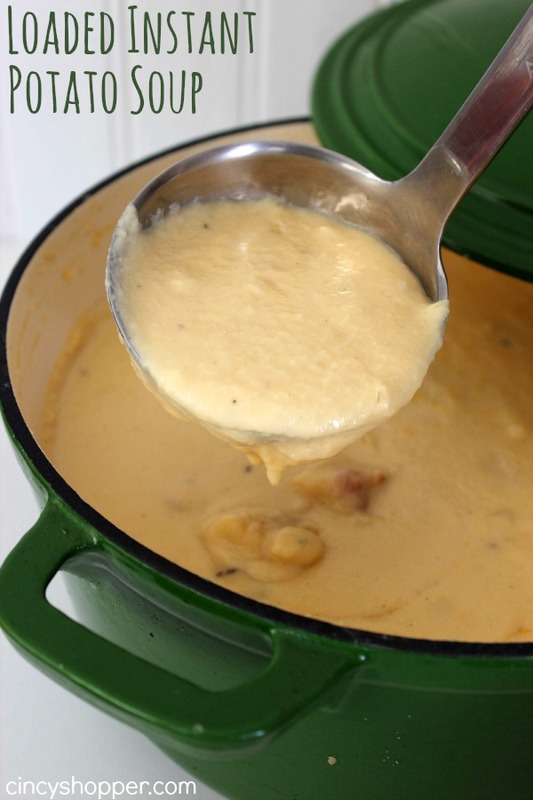 Reduce heat, add evaporated milk and stir in potatoes. Add shredded cheese and continue to stir. If the consistency is too thick, you can add milk to thin it to the thickness you prefer. Cook over medium heat stirring occasionally to bring it up to serving temperature. To finish off the presentation, you can fry up a few slices of the remaining bacon and slice some green onions for garnishing. Sprinkle a little shredded cheese, some bacon crumbles and slice green onions over each bowl and it looks and tastes yummy! 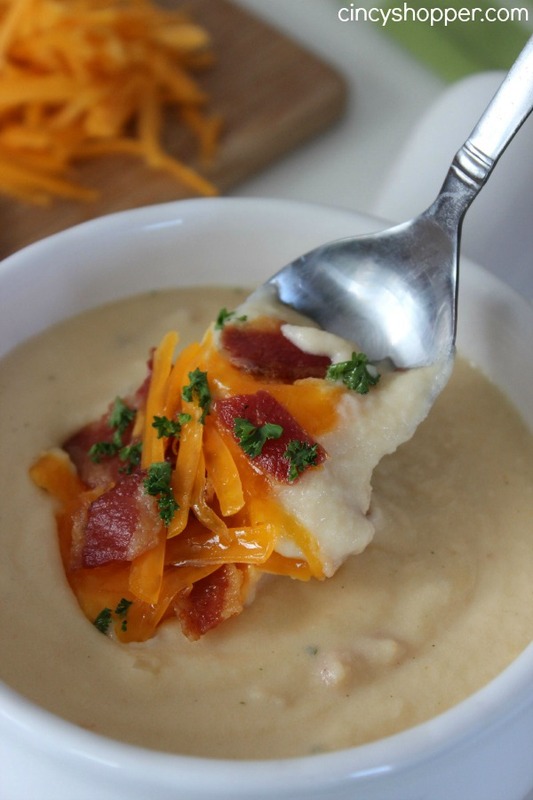 Loaded Instant Potato Soup. Yes... this recipe uses instant potatoes. 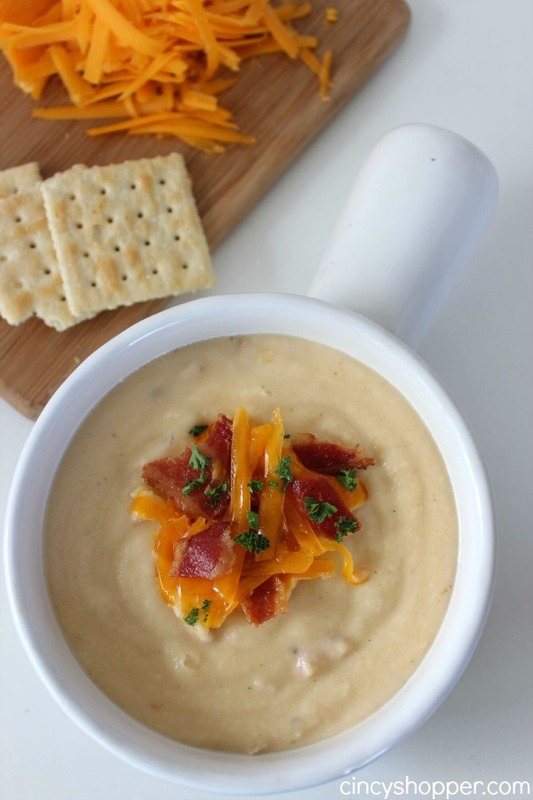 Do not be alarmed as this soup Super delish! Super Easy and Super Inexpensive. 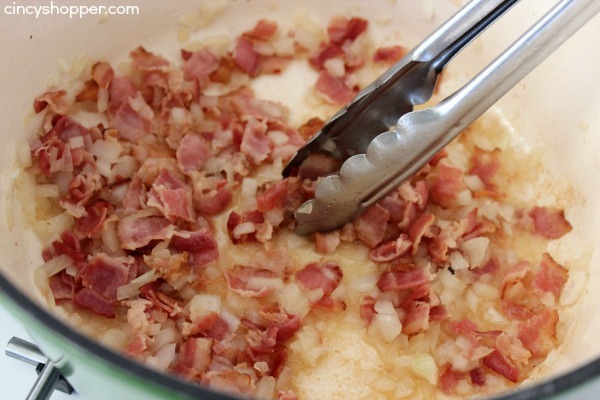 Start by chopping the bacon into small (1/2 in. squares) and cook in a pot large enough to cook the soup ( i used a 6 quart one). 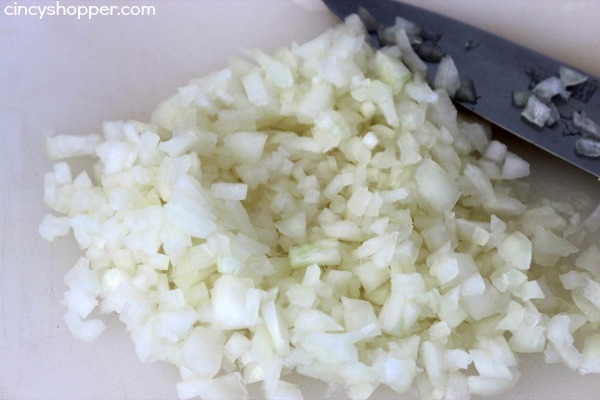 Once this begins to render add the onion and cook until onion is tender. Add chicken broth and water and bring to a boil. Reduce heat, add evaporated milk and stir in potatoes. 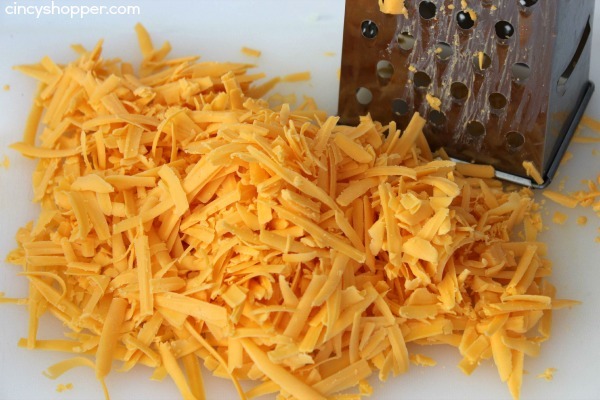 Add shredded cheese and continue to stir. If the consistency is too thick, you can add milk to thin it to the thickness you prefer. Cook over medium heat stirring occasionally to bring it up to serving temperature. I LOVE stockpiling items when they are REALLY cheap or FREE! This recipe is a prime example of why you purchase extra items that are FREE or Cheap to use down the road. Getting creative with these items, helps us stretch our budget. The Betty Cracker potatoes go on sale for FREE or Cheap quite often. I always try to have as many coupons as I can for when there is a good sale. Cheese, the same thing. When it goes on sale, I stock up. 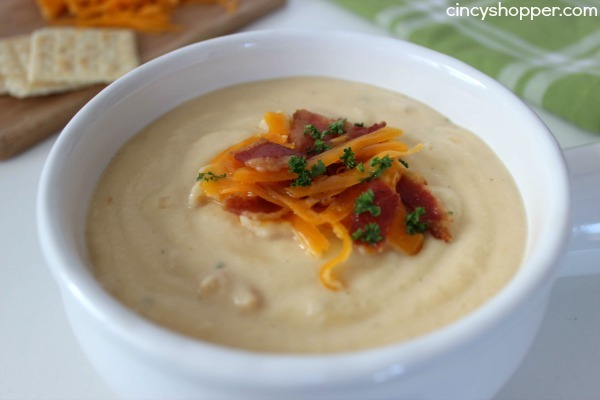 Each and every Monday, you can stop by CincyShopper and check out my latest Meal on A Budget!